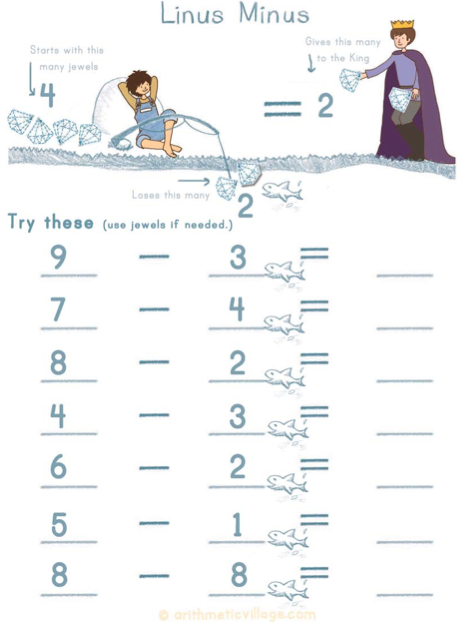 If you laminate this sheet, you can use it for many different levels of subtraction. Or you can focus on families like 10-?. Sometimes I let one child fill out the equations for another child to solve. They like to challenge each other and are usually fair, knowing they will swap positions. Enjoy!